emoji icons make a conversation 1000x better ! my emoji wrks now !!!!!! 15 Oct 11 copy & paste +upvote -downvote  my emoji wrks now !!!!!! 15 Oct 11 copy & paste +upvote -downvote  finally got emoji!! Oba oa @biiamaranzano me ensinou a usar o emoji!!!!! Getting the new iPhone 4GS whenever they get more in stock!! 15 Oct 11 copy & paste +upvote -downvote @texaschickmama EMOJI!!!!!  Evening Allanah!! 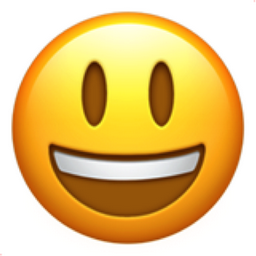 Like Smiling Face with Open Mouth Chronological Emojitweets 21?